Injection Systems Information – Parts, Systems, Components, Inspections, Maintenance, Service, Repair, Diagnostics, Disassembly, Assembly & more. 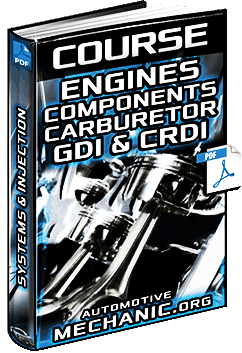 Free Download Course: Engines - Components, Systems, Carburetor, Fuel Injection, Perfomance, GDI & CRDI in Full PDF. Instructional Video for Toyota 1.2 Turbo Direct Injection Engine TFSi - Assembly of the Components in 3D Animation. Instructional Video for Bosch Gasoline Direct Injection System - Data, Technology, Perfomance & Features - Animation. Informative Video for Water Injection System for the BMW M4 GTS Car - Components & How it Work - 3D Animation. 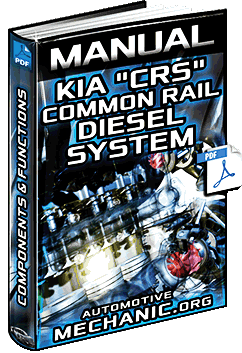 Free Download Manual: Kia Common Rail Diesel System - Filters, Injection, Diagrams, Components & Functions in Full PDF.